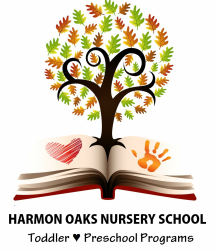 Like any admission, the process at Harmon Oaks Nursery School begins with an initial interest. Initial interest may be in the form of a recommendation from a friend or CCRC, a glance at the facility from the road, an internet search engine result, or from a neighborhood publication regarding Harmon Oaks. In any scenario, we are always delighted to hear of new interest, and ask that parents familiarize themselves with our facility, programs, philosophy, and staff to determine if Harmon Oaks is the right fit for their family. Families can learn more about our nursery school through our website and by attending an Open House event. We also encourage all families, whether already on our waitlist or just beginning the nursery school search process, to FollowUs on Instagram @HarmonOaks and learn more about our daily curriculum and overall philosophy. We hope to also to inspire opportunities for continued learning, play, and discovery at home. ✓ Schedule a tour with Harmon Oaks or attend an Open House Event, held on Saturday's every 6-8 weeks; tour with your child as we would like and need to meet them too! * When space is available for the current school year, Harmon Oaks places immediate enrollment, regardless of the time of school year. Parents are contacted immediately and an enrollment packet is mailed or e-mailed home. When space is not available, your child’s name will be added to a waitlist. Harmon Oaks maintains an open enrollment policy throughout the year; if a spot should become available, parents on the waitlist will be notified.